If your house is anything like mine then you'll be very familiar with fidget toys. 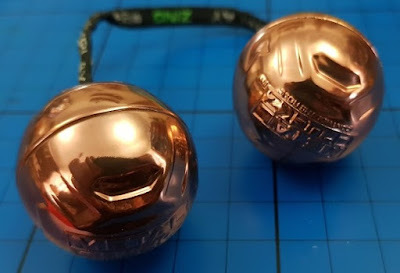 Zing make a great range of Every Day Play fidget toys that are played with by children, but also used by professionals, and they have offered a bundle of 6 awesome and varied toys for one of my readers - Metal Chucks, Tumblstix, Spinbladez, Klixx, Thumb Chucks and Zing Dama. 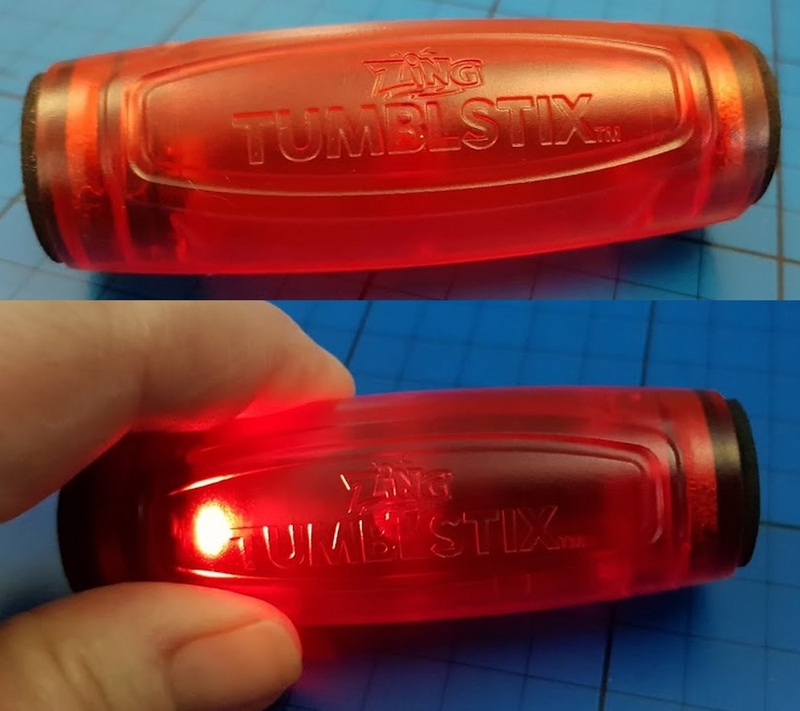 The quality is great and 4 of the 6 light up - which was quite a surprise when I opened my box and everything inside was glowing! 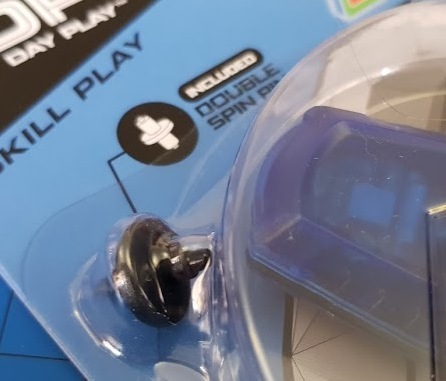 They are all packaged in card with a plastic front cover and open very easily and quickly, so you can play immediately - Christmas morning friendly. Thumb Chucks (£7.99rrp) are the original light-up fidget balls which have been joined by several variants. I've seen Thumb Chucks demonstrated at events several times and there are loads of videos online - basic tricks are easy to learn, but trickier moves take hours of practice to master. This isn't just a fidget toy, it's a skill toy. 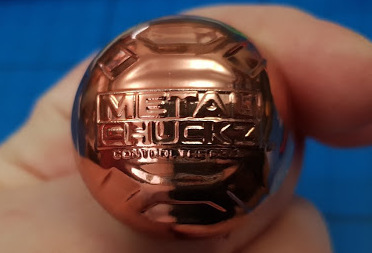 Metal Chuckz (£8.99rrp) are the hottest new chucks in the best-selling Thumb Chucks range. They look like solid metal but are actually quite soft and hollow so not at all as dangerous as they look. Round balls with an embossed pattern, attached by a lace and capable of a multitude of tricks - or just spin them round your finger. 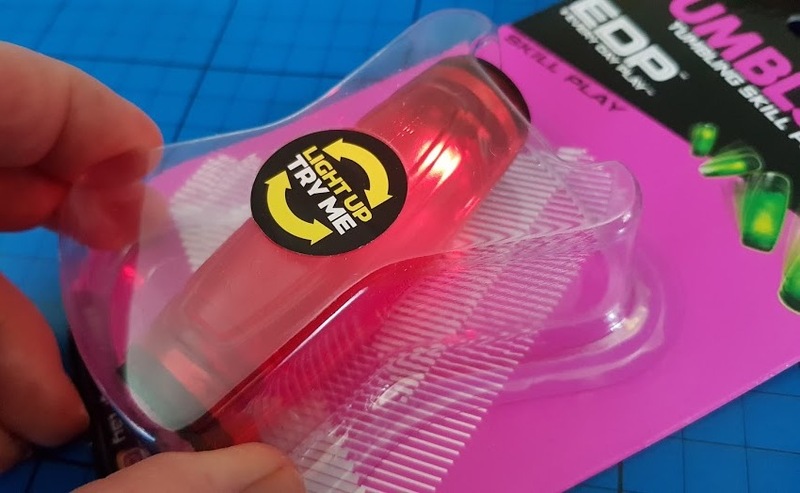 Tumblstix (£8.99rrp) are a mesmerising fidget toy that challenges you to balance and catch the cylinder smoothly during 360 degree rolls and 180 degree flicks, all whilst doing tricks. This is another light up toy and actually easier for a beginner than some other fidget sticks we've tried. My 7 year old is pretty good at flipping these and can sit and 'draw triangles' on the table for ages. Zing Dama (£8.99rrp) puts co-ordination to the ultimate test. A ball on a string and a catching bowl shaped ring to capture it. This is a familiar traditional game updated and upgraded. It also lights up, so there's an extra reward for a direct catch. Easy to attempt, but hard to master. 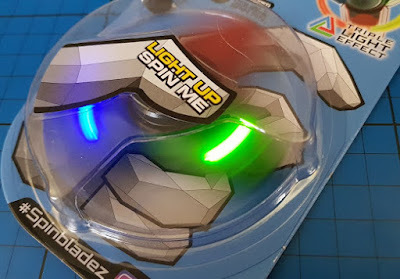 Spinbladez (£9.99rrp) is a souped-up spinner that stands out from the crowd with distinctive 3 coloured LED lights, perfect for day and night. Included is a Double Spin Pin to stack your Spinbladez or spin them on the pin. 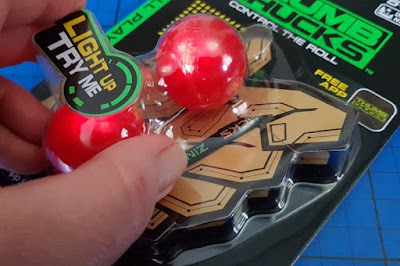 This makes it much more of a skill game than simply spinning, and getting all 3 lights to light up simultaneously is actually harder than it would appear! Zing Every Day Play Fidget Toys are available now from toy shops instore and online, including Toys R Us, Smyths, Tesco and The Entertainer. Prices vary £3.99 to £9.99 rrp. 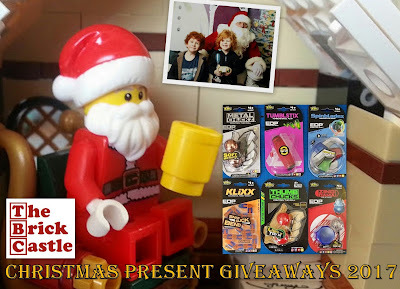 Zing Toys are giving away their Every Day Play Fidget Toy Range in my Christmas Present Giveaways. 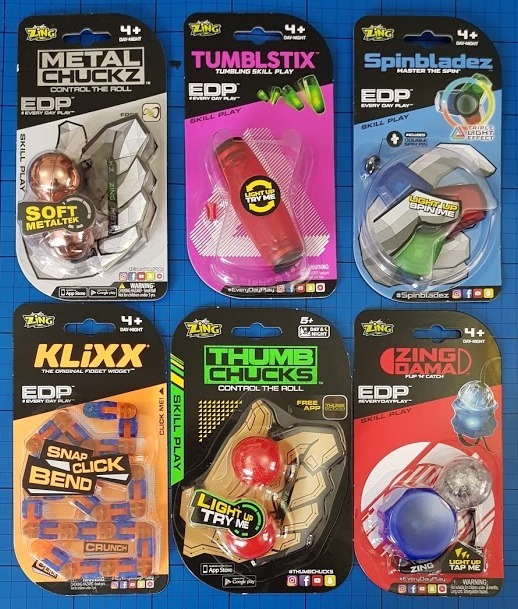 One winner will win the bundle of 6 toys with a combined rrp of almost £50 - Thumb Chucks - £7.99rrp, Metal Chucks - £8.99, Tumblstix - £8.99rrp, Zing Dama - £8.99rrp, Klixx - £3.99rrp, Spinbladez -£9.99rrp. Entry to the giveaway is by the Gleam form below. Your details will only be used if you are drawn as the winner, not for any other reason. The giveaway is open to UK entrants only and will end at midnight December 10th. We will endeavour to get them to you in time for Christmas, but can't be held responsible for unforseen delays. Full t's and c's at the bottom of the Gleam form. 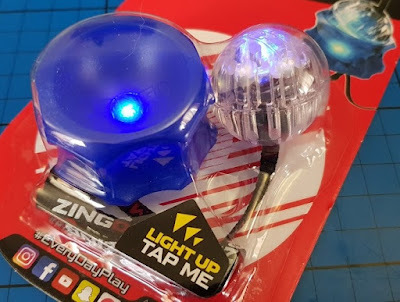 We were sent our selection of Zing EDP Fidget Toys to review. I'd buy Santa the Spinbladez because the distinctive 3 coloured LED lights is perfect for day and night when Santa is out in his sleigh. I'd get the Tumblstix for Mary and Joseph. It seems like they did a lot of waiting around in the traditional Christmas story and they would have benefited from light other than the big star above the stable! I would get a Spinbladez spinner for the elves to entertain themselves once they've finished making all the toys. I'd choose Zing Dama for Santa's elves because they need lots of quick co ordination to fill all of those sacks of toys. Snowman would have a LED spinner, make fun bow tie! My brain is working in Christmas mode yet!!! I'll go with tumblstix as it cheery!!!! Tumblestix for our grandson, he loves lights of any sort. I'd get the Tumblstix for Frosty the Snowman so he could have a funky, modern nose. The LED spinner for the snowman to use to keep him occupied... Standing outside in the cold on his own, poor thing! Klixx for Santa's elves. 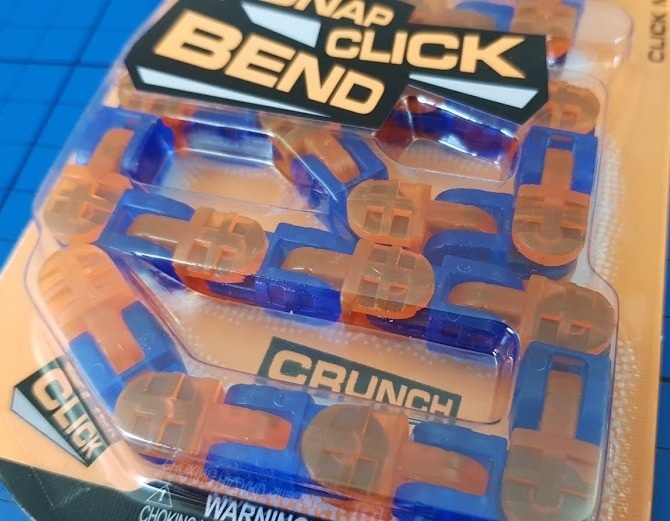 They're hard at work using their hands to make the toys and they could benefit from wearing one of these around their wrists to motivate them and keep them going. The light up thumb chucks would make a great new nose for the snowman to replace his satsuma that's probably a tad mouldy by now! The Zing Dama for Mrs Claus to play with while she waits for mr Claus to get home. I would choose the Zing Dama for my daughter. She has all sorts of fidget spinners but none like that one. I would choose the Tumblstixfor the elves to amuse themselves on a break in the toy workshop. I'd buy the Zing Dama to help out the police and their lack of resources, it'd be a great light to have on top of their car! I'd buy Santa some beard oils so he can be a Festive Hipster! I'd get Klixx for Santa to keep all his reindeer together on the busy night when delivering all the presents to those that have been good! LED spinner, my youngest would love it!! The Spinbladez for my son as he love things that light up. A snowman with a flashing nose and spinning head! Tumblestix for my nephew as he is quite difficult to buy for, this would be something different and not seen before. I would buy the metal chucks for Santa incase he looses a button! I'd let Michealangelo from TMNT have the thumbchucks. I think he woul dbe pretty special! I would get the Tumblstix for Santa, because I think he would have lots of fun with it. I'd buy Frosty the Snowman Tumblstix because then he'd have a spare nose!